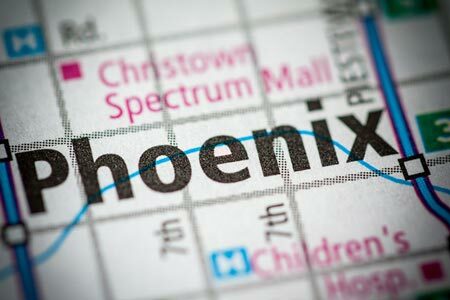 Phoenix, Arizona—An as-yet unidentified man, age 56, was killed as he crossed a Phoenix street early this morning. Accident investigators with the Phoenix Police Department were called to the 1800 block of west Broadway Road on the Phoenix/Tempe border shortly before 1:00 a.m. According to officials, the pedestrian was pronounced deceased at the scene. The suspect vehicle, which police describe as silver in color, fled the scene before authorities arrived. Phoenix Police are asking anyone with information regarding this accident to call the Department or Silent Witness at 480-WITNESS.